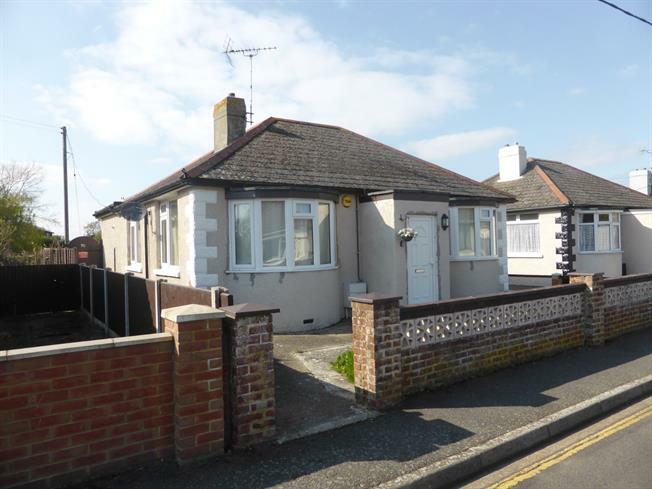 2 Bedroom Detached Bungalow For Sale in Romney Marsh for Asking Price £250,000. Two bedroom detached bungalow with two reception rooms, garage and off road parking for sale with no chain. The lounge is a double aspect room with bay window to the front, wooden flooring and doors to inner hallway and bedroom. The dining room has the airing cupboard and opens into the kitchen which overlooks the rear garden. The main bedroom is to the front with built in wardrobes and bay window. The second bedroom overlooks the rear garden. Bathroom comprising bath with shower over, wash hand basin, WC and tiled walls. The rear garden is mainly laid to lawn with patio area, gate to side. Garage and off road parking.